Shaun Lyon and Marian Monk were clear winners at Greenock Glenpark Harriers Cornalees hill race, and in doing so both deservedly secured the club championship title for their first time. Shaun was 2 minutes clear of experienced hill runner Andy McCall, who is showing signs of getting back to full fitness, with Kevin O’Donoghue in third. John Stevenson was fastest veteran with a personal best time for the 5mile route up to the summit cairn above the Cornalees centre. Marianne McKay and Nicola Stevenson competing in their first hill race performed well to go comfortable under the hour in the windy conditions. The biggest improvement was by Lucas Bezian slashing 18minutes from his time of last year. Harry McGill was made to work for his win in the junior race by Ewan Ferguson who came within a few strides of causing a surprise defeat for the Largs youngster as they battled each other in the steep climb from Pennyfern to the Cut. Scott Meechan had also put in a strong challenge as he matched the pair, but he faded in the final stretch to the finish and had to settle for 3rd. 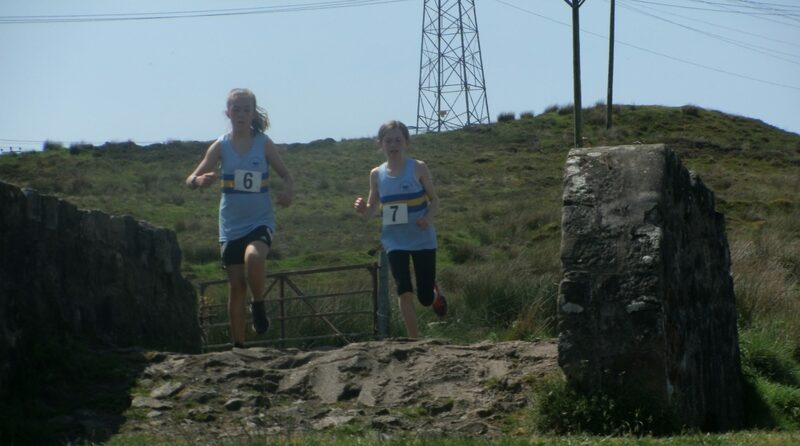 Aidan McElwee had another stunning run to win his 4th club race in row in the under 11 category. Ruby McGill was a clear winner in the girls’ race with sprinter Beth McKenna making a rare appearance away from the track taking second. Leah Knox just had the edge on Maria McCabe for first place in the under 11s. Thanks to Michael Dunn of C&M coaches our race sponsor, and to all the marshals out on the hillside. This entry was posted in Uncategorized on June 24, 2017 by greenockglenparkharriers.